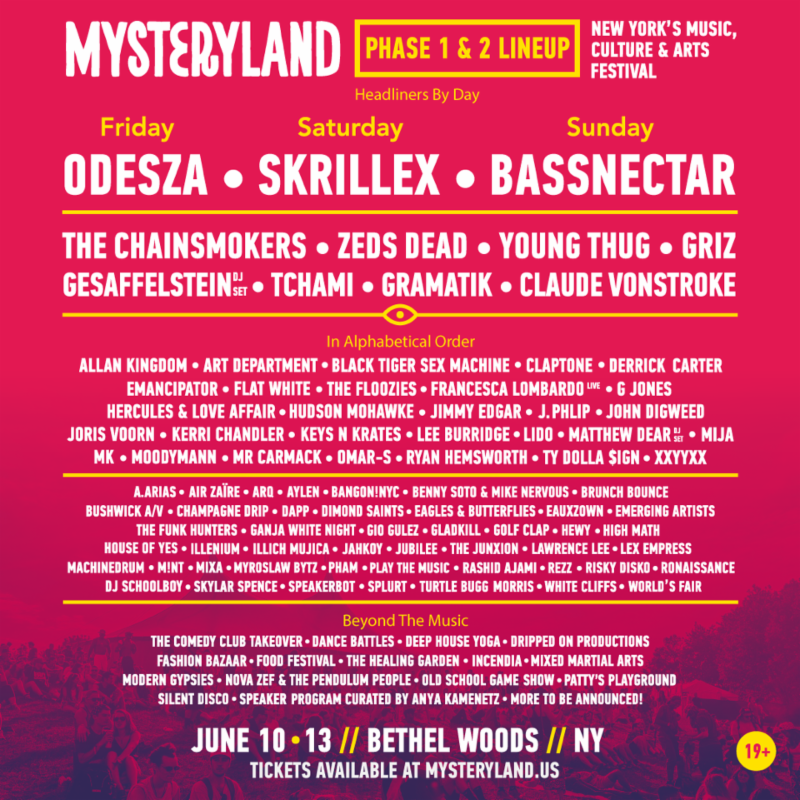 Having already announced the return of ‘The Boat’ stage and with daily reveals of talent being rolled out over the past last week, MYSTERYLAND USA is now unveiling the second wave of talent for the third annual MYSTERYLAND USA. More than 40 artists–just added acts include Allan Kingdom, Art Department, Derrick Carter, Flat White, Francesca Lombardo (live), Hercules & Love Affair, Hudson Mohawke, Jimmy Edgar, J Phlip, Joris Voorn, Kerri Chandler, Lido, Matthew Dear (DJ set), Moodymann, Ryan Hemsworth, TYDolla $ign and XXYYXX with additional talent to be announced in the coming weeks—are set to join headliners Odesza (Friday), Skrillex (Saturday) and Bassnectar (Sunday) for New York’s music, culture & arts festival. It’s all set to happen June 10-13, 2016 at the Bethel Woods Center For The Arts (home of the legendary 1969 Woodstock festival) in Bethel, New York. Those headed to MYSTERYLAND can expect an unparalleled experience with a speakers program curated and hosted by NPR personality, Anya Kamenetz, The Healing Garden’s restorative powers, curated by Sarah Schroder and back by popular demand, the Incendia 50′ fire dome illuminating the night sky. The House of Yes, BangOn!NYC and Dripped On Productions are all also on board to add a little extra magic to the MYSTERYLAND atmosphere. ●The Healing Garden’s teepees and tents will return for a full weekend of yoga, healing, meditations, and workshops, led by Sarah Schroder, who has curated Mysteryland’s Healing Garden for over a decade in both the US and Netherlands. A variety of ticket, camping and travel packages are on sale now, with 1/3 payment plan options ending tonight (April 4th) at Midnight EST, and 50/50 payment plans available through Saturday, April 30. Prices range from $234 for a NOMAD three-day GA pass to $319 for a GA pass with camping; premium three day, $444 to platinum VIP, plus camping, $849. For those looking for a ready-made experience, packages include NOMAD three-day, plus a Mysteryland branded pre-set up tent (with a two-person air bed and two sleeping bags located in the Easy Tent Community of the on-site Holy Ground campgrounds), $899 to a fully accommodated authentic Catskills mountain resort complete with accommodations for three nights, price upon request. On-site camping is 21+ only. Off-site camping options (19+) are available at Mysteryland.us. Additionally, shuttle services to the festival site are available from Albany in Upstate NY, JFK, LGA and Newark airports and Grand Central Station in Manhattan. Other festival options include travel packages, parking passes, locker and power rentals and group “Friendship Camping” in the Holy Ground campgrounds that can accommodate between 10-12 people. 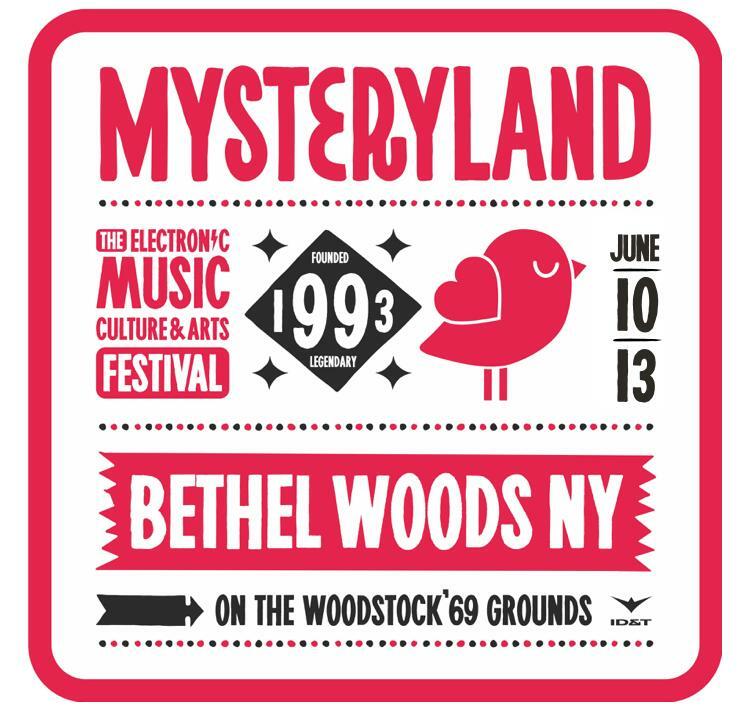 Mysteryland dates back to 1993 and is now the world’s longest-running dance festival. With a clear focus on culture, art, talent, creativity and sustainability, the festival takes visitors to inspiring and surprising worlds where literally anything is possible. The first international edition of Mysteryland was held in Chile in 2011. In May of 2014, Mysteryland made its USA debut at the site of the legendary 1969 Woodstock Festival and now returns for its second edition. 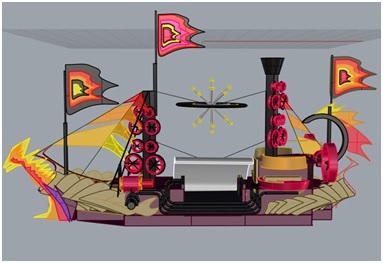 Mysteryland is an ID&T concept. This entry was posted in Mysteryland, Press Releases. Bookmark the permalink.